About: Gretchen Whitmer, a Democrat from East Lansing, was elected Michigan's governor in 2018. She won a competitive Democratic primary in August 2018 to earn the party's nomination for governor. In the general election, she defeated Attorney General Bill Schuette. She previously served in the Michigan House from 2001 until 2006. She then served in the Michigan Senate from 2007 until 2014. She was the top Democrat in the Michigan House from 2011 until 2014 while she served as Senate minority leader. She was Ingham County prosecutor for a period during 2016. Also, according to her campaign website, after her service to the state, she taught at the University of Michigan and Michigan State University. As governor, she raises money through a candidate committee, Gretchen Whitmer for Governor. Two 527 organizations also supported Whitmer's campaign for governor in 2018. One is called Build A Better Michigan. The other is called A Stronger Michigan. The two 527 accounts can raise unlimited amounts of money and have been filing their disclosures with the Internal Revenue Service. 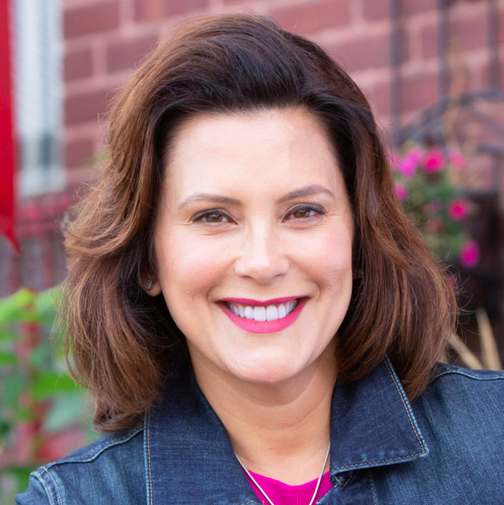 As a state senator, Whitmer raised money through a candidate committee called Committee to Elect Gretchen Whitmer and a leadership PAC called Whitmer Leadership Fund. The PAC dissolved in 2018. She was previously connected to a nonprofit organization called Move Michigan Forward. The nonprofit organization dissolved in 2015. It didn't have to disclose its donors.